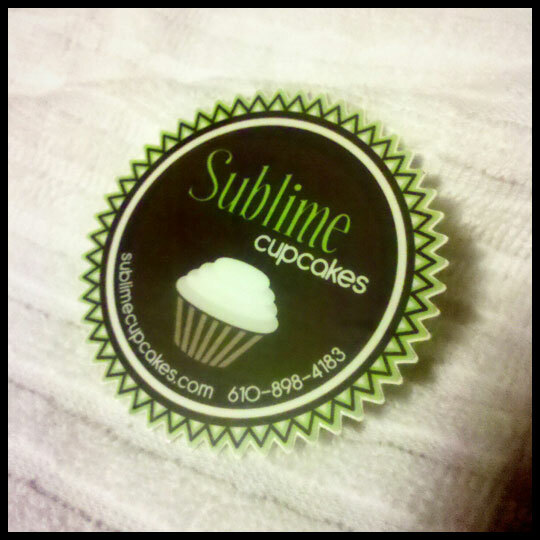 Sublime Cupcakes in PA is just that: SUBLIME! I was randomly in the area of Wyomissing, PA when a friend recommended that we stop by this little shop. The set-up was adorable with fantastic photography on the walls and simple stands that let the cupcakes speak for themselves. There were even cupcakes I have never seen anywhere else. 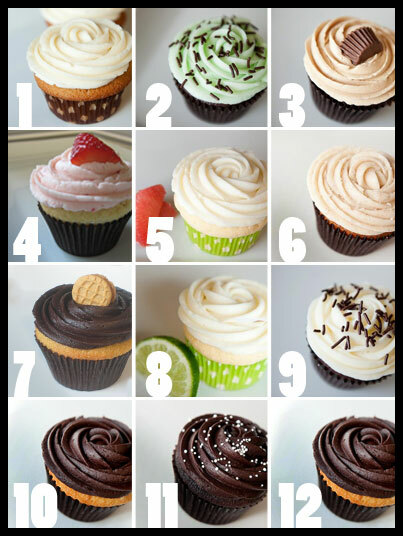 With so many great options, it made it very difficult to choose just 12. Somehow I powered through. Photos borrowed from Sublime Cupcakes’ Facebook Page (click here). No harm or infringement intended. We decided to eat one while we were there, so I went with the Grasshopper (2), as I am a huge fan of mint. Sure enough, the cake was very moist, chocolately and the buttercream mint icing was smooth, buttery, and fluffy. If you like “Thin Mints” make sure to get one of these! Later that night I dove into the Strawberry Lemonade (4) & Ruby Red (5). 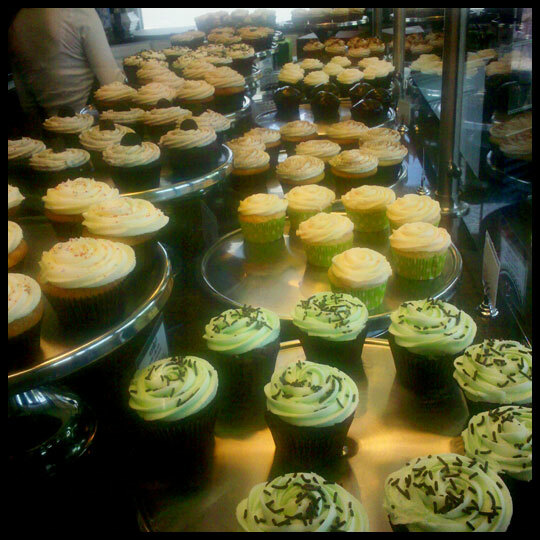 (I have found if I keep some time in-between eating, I can put away quite a few cupcakes in one day.) Out of the two the Rudy Red was the standout, as it is the only grapefruit cupcake I have ever had! It was light, refreshing, and screamed SUMMER! My favorite is a tie though, as the next day I ate both of these for lunch: French Toast (1) & Snickerdoodle (6). Anyone who knows me, knows my love of bacon (In fact Stacy bought me a fantastic book about bacon last year!) so that right away was a treat, on an already wonderful cupcake. Just the right amount of salty/sweet with delectable little bits of cinnamon in the cake too! The Snickerdoodle reminded me of the homemade cookies my Nona makes at Christmas, and the frosting was sweet, but mild with the sugar, cinnamon, and I suspect a hint of nutmeg. Three days later I finished them all off, and even the very last one was good, maybe a little dry from sitting for three days, but still delicious! All in all, this a place I want to drive 2 hours to go to again, and again – and next time (if Stacy and Jenn aren’t with me on the trip) I will have to bring some back to share! This entry was posted in Cupcakes, Pennsylvania and tagged Chocolate, french toast, grapefruit, keylime, lemonade, Mint, nutella, peanut butter chocolate, snickerdoodle, strawberry, Sublime, vanilla, Wyomissing by Crusader Elisa. Bookmark the permalink. You’ve got to be kidding — I’m just outside Wyomissing, PA today on a road trip with my husband! It must be fate, because if that’s a Nutter Butter on top of #7 it is going to be mine, all mine. This is a bit closer to home, but have you been to Cake Dreams in Rockville? They recently won Cupcake Wars and their shop is only a few blocks from my apartment. SO dangerous. They put so many other cupcakes I’ve tried to shame. Real Italian buttercream, creative flavor combinations in addition to the classics. I try to pretend they don’t exist or I’d be there every day. Really? That’s awesome! I’ve missed so many episodes of Cupcake Wars, I really need to set my DVR to record it… I’m actually planning on doing a small Cupcake “Tour” in Bethesda. A friend gave me a list of places I had to try there, so I’m planning to do that in October. I might have to take a detour and visit Cake Dreams. Thanks so much for the tip! I love sublime! Does anyone have a recipe similar to the Chocolate Squared?